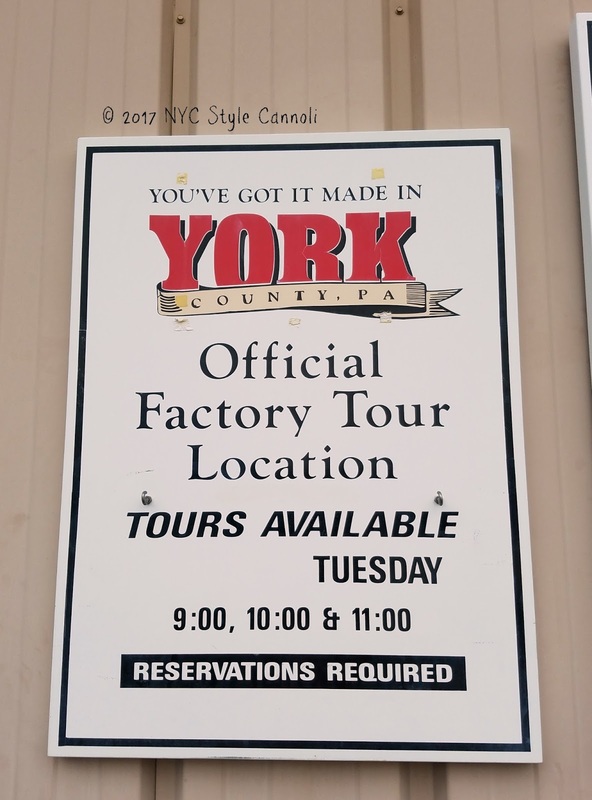 I headed to York, Pa last year for some interesting food tours. 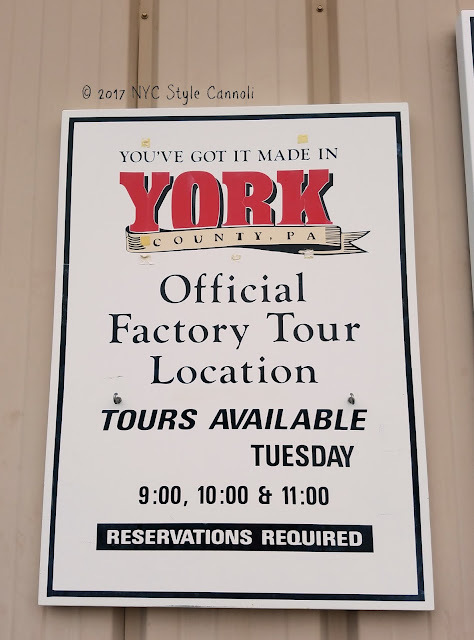 York has many factories which make various snack items that offer tours. 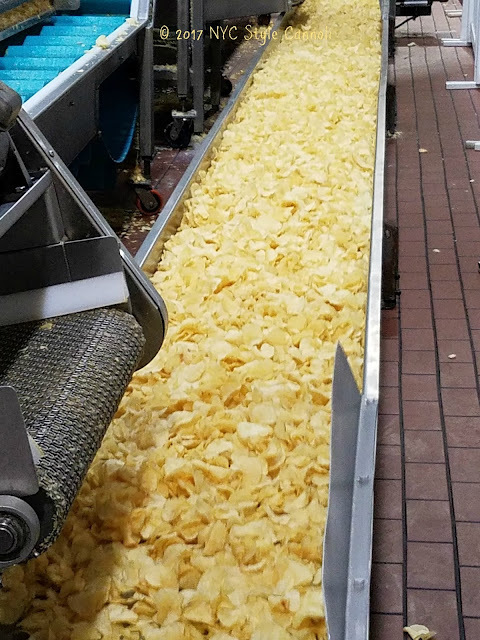 I never toured a potato chip factory so I was pretty excited. Martin’s Snacks was started in 1941 by Fairy Martin. 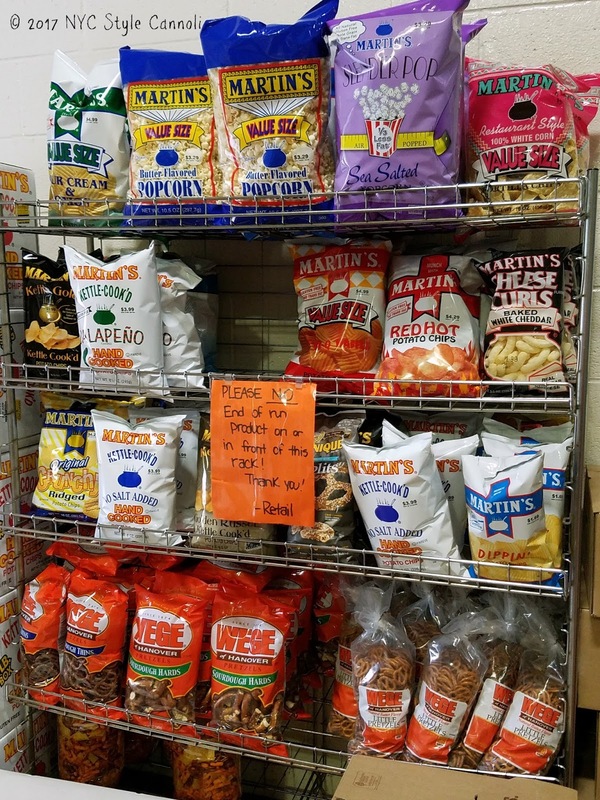 The story goes that she grew tired of her son always buying chips from the Utz family stand at the local market and decided that she could make better potato chips. From their humble beginnings in the Martin family kitchen, Martin’s Potato Chips has grown into a huge operation, producing over 1 million bags of potato chips and popcorn each month. 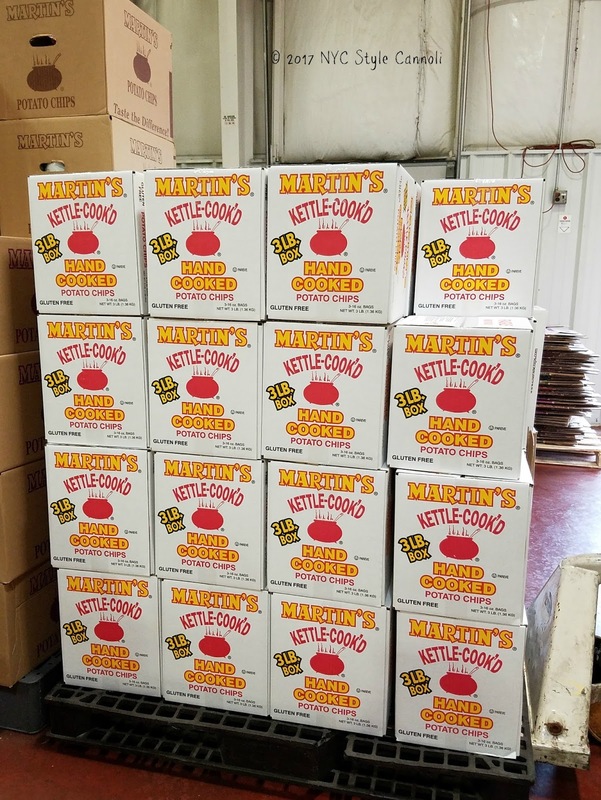 Martin’s Potato Chips have grown so popular, that the last three Presidents have had them served on Air Force One. 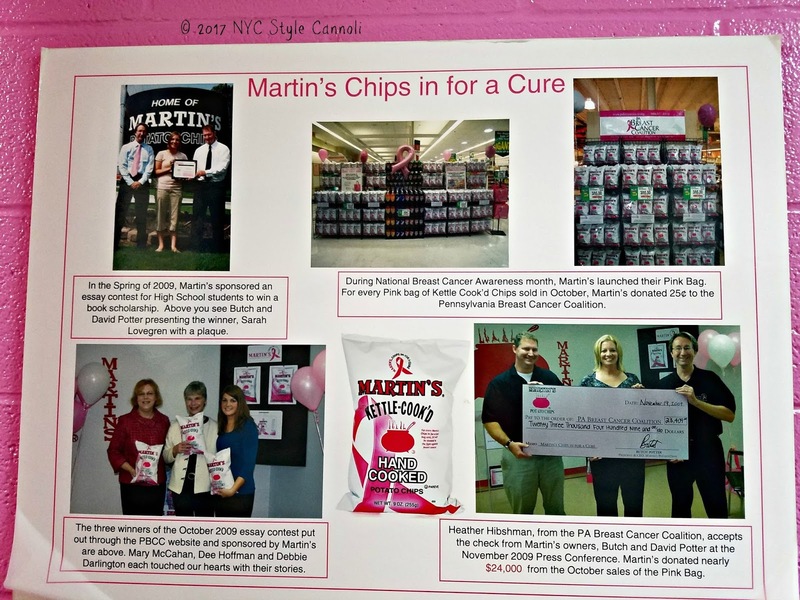 Still family owned (though not by the Martin’s), Martin’s Potato Chips operates out of their factory in Thomasville, which is located in York County, just outside of York. 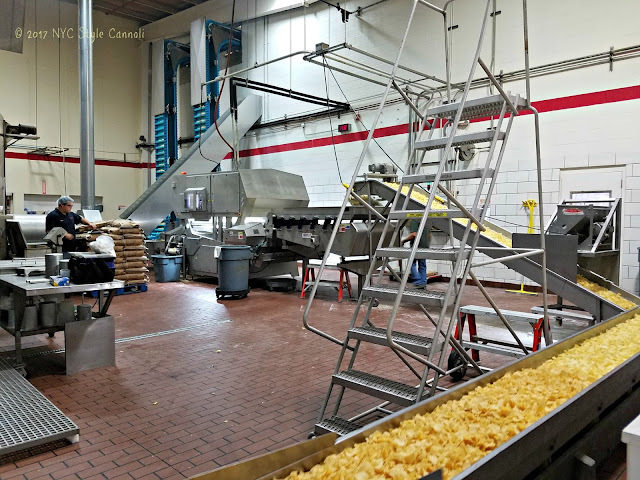 The Martin’s Potato Chip Factory Tour starts from the small on-site shop. Donning a hairnet to cover my head (it wasn't a great look! ), I joined a group of other visitors & headed out for the tour. 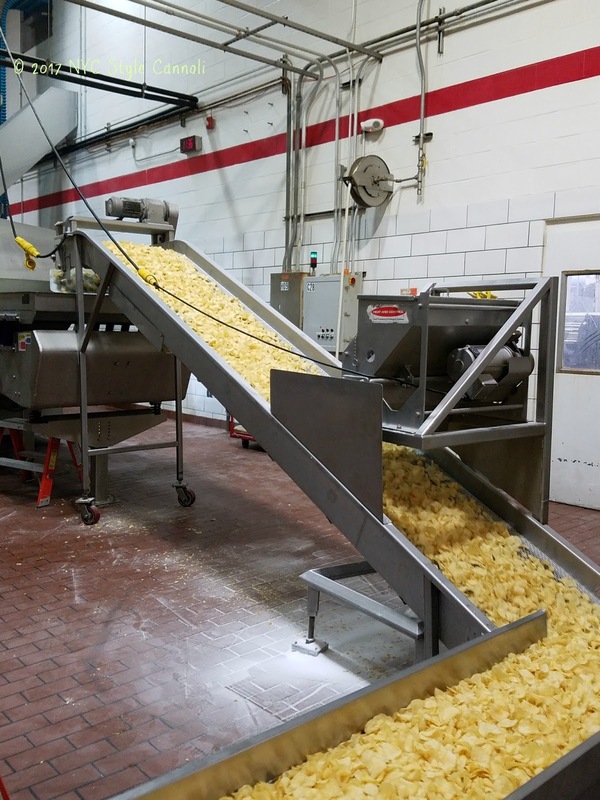 Once the potatoes are inside the factory, their journey to becoming a potato chip starts. 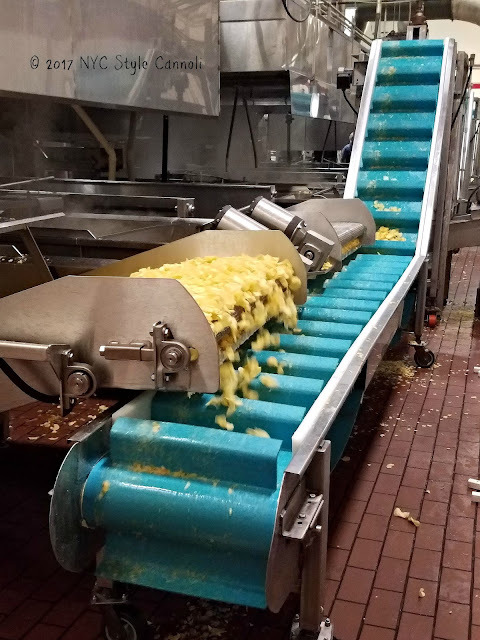 Potatoes start off in the peeling machine. Instead of peeling the skin though, the skin is sanded off; a process that ensures that as little of the potato is lost to peeling as possible. 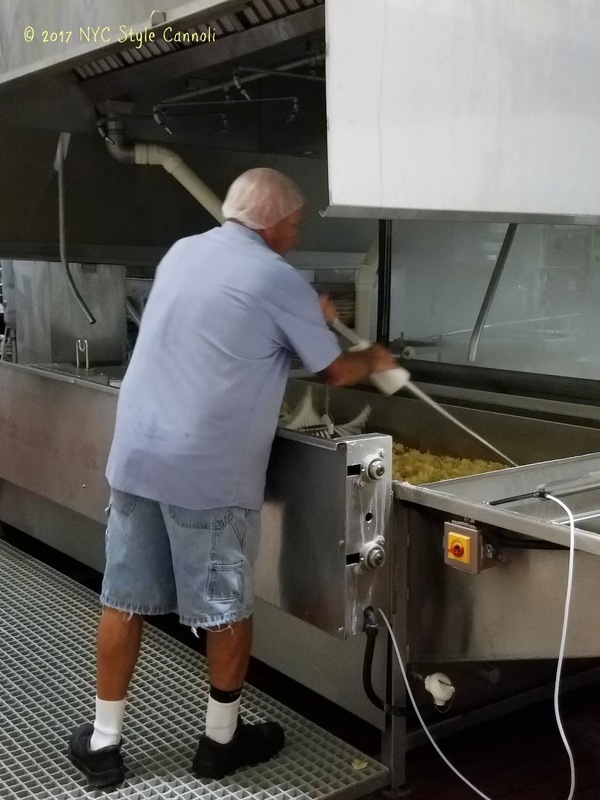 Once peeled, potatoes are sliced, fried, cooled, and salted before being packaged. 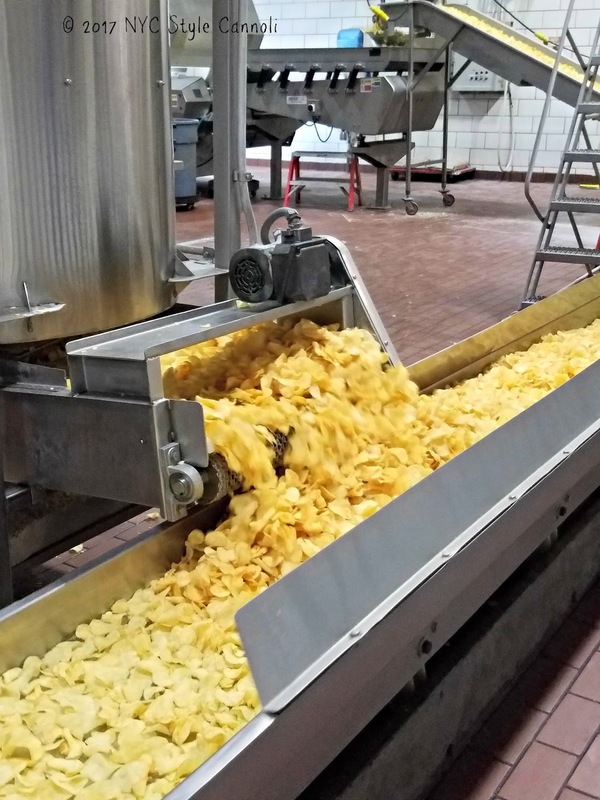 The process for making potato chips hasn't changed too much in 70 years. The smell in the factory was just so wonderful, I think that was one of my favorite parts. It was neat being able to walk on the factory floor to see whole process. 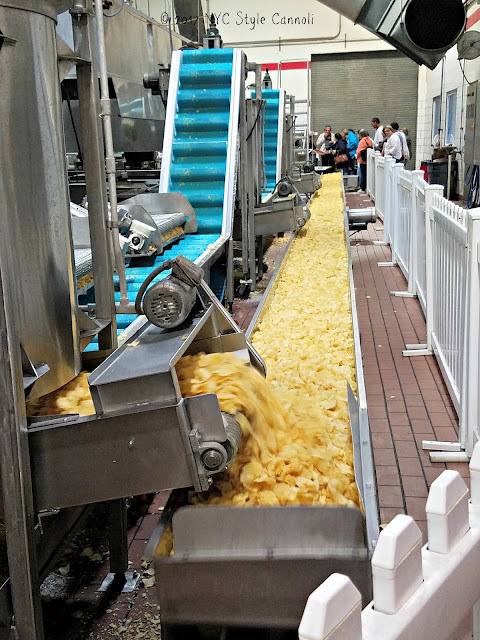 The same could also be said for the popcorn that they manufacture on site. 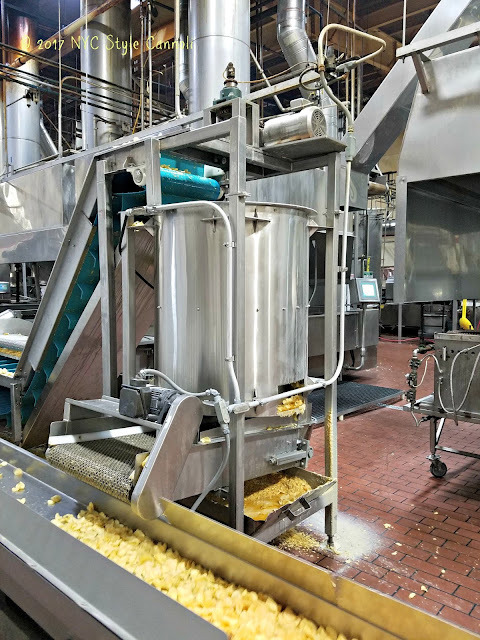 Popped in large air poppers, the process still requires an operator to measure out corn kernels, salt, and flavoring. 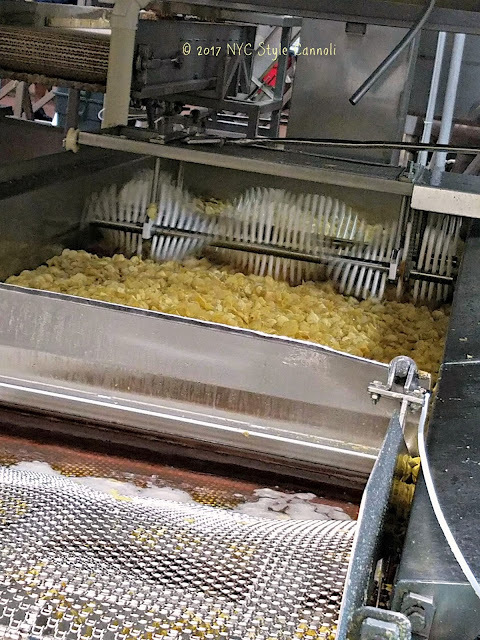 He then dumps the bucket into the popper, waiting for a few minutes until the popcorn comes pouring out onto the conveyor belt, ready to be cooled and packaged. They started making the popcorn in 1994 and it smelled quite amazing as well. There is nothing like fresh snacks right after they are made to enjoy! The samples were the 2nd highlight of the tour. 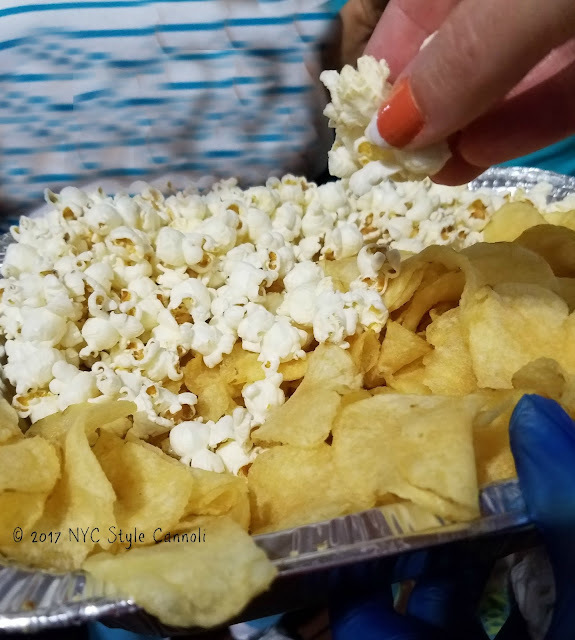 You cannot explain fresh potato chips and popcorn while they are still warm! They were totally yummy! We were able to purchase items at the end of the tour in the factory store and they were discounted which was nice. I did enjoy this tour, it was something I had never done before, and it was cool to see how they make some of my favorite snacks. It is also nice to see that this company is still in business and doing very well in 2018. I would highly recommend this tour! The Martin’s Potato Chip Factory Tour is conducted at their Thomasville factory just outside of York. Tours are conducted on Tuesdays only at 9am, 10am, and 11am. Reservations are required, and can be made by calling 1-800-272-4477. 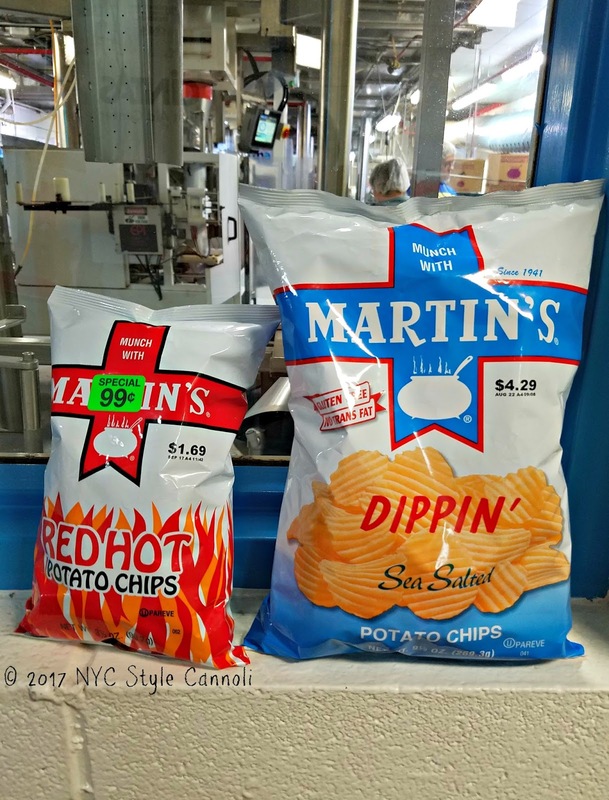 It’s a good idea to combine your trip to Martin’s with a visit to the Snyder’s of Hanover and Utz Potato Chip factories in nearby Hanover. A real foodie kind of day in Pennsylvania!